Charity communications teams sometimes tell us their charities don’t have any stories to tell. At Mile 91, we like to play devil’s advocate by replying “yes you do”. If your organisation is fulfilling its mission and delivering on its objectives, then you will have stories, you just need to access them. Here are my tips for finding hidden stories. Lots of organisations suffer from ‘the pipeline problem’. Often there are lots of stories but many organisations don’t have the systems and processes in place to get them from the frontline to external facing teams. By developing internal skills and understanding of the importance of storytelling, you can increase the flow of powerful stories to share with the outside world. Mapping out your story needs for the coming months or year can really help give other teams you’re working with notice for their own planning. There will always be breaking news or media requests to quickly respond to, but by being organised and planning ahead for big campaigns, you’ll secure good will across the board. Not all charities have storytelling requirements as complex as Children in Need but there are lots of lessons to be learned from the charity's process. A few years ago, Scope spent time investing in building relationships with its services teams through face-to-face meetings around the country. This meant the charity had plenty of material for its 100 stories in 100 days campaign in the lead up to the general election, and completed the project in just three years. This also means the charity now has a shared protocol for story gathering called the Story Principles and a team of staff who understand what’s needed for future campaigns. The staff who know your charity’s work best are those who are delivering it. You may be in another building, city or country from where the impact of your charity’s work is felt so help staff on the frontline understand what makes a good story, how to capture quality photos and conduct interviews. You will start to see better quality story leads hitting your inbox. Earlier this year, we ran a training day for Marie Stopes International and within a few months the communications team were getting photography from the field good enough to use in reports. Story gathering doesn’t need to be a huge drain on your budget. While some things require investment, like corporate photography or films for major events and campaigns, you can also develop your own skills so you have a ready supply of audio-visual content. Many of us are familiar with making short films on apps like Vine or Instagram, but did you know your smartphone can also shoot broadcast quality footage? The BBC uses smartphones and has useful guidance that’s freely available online. 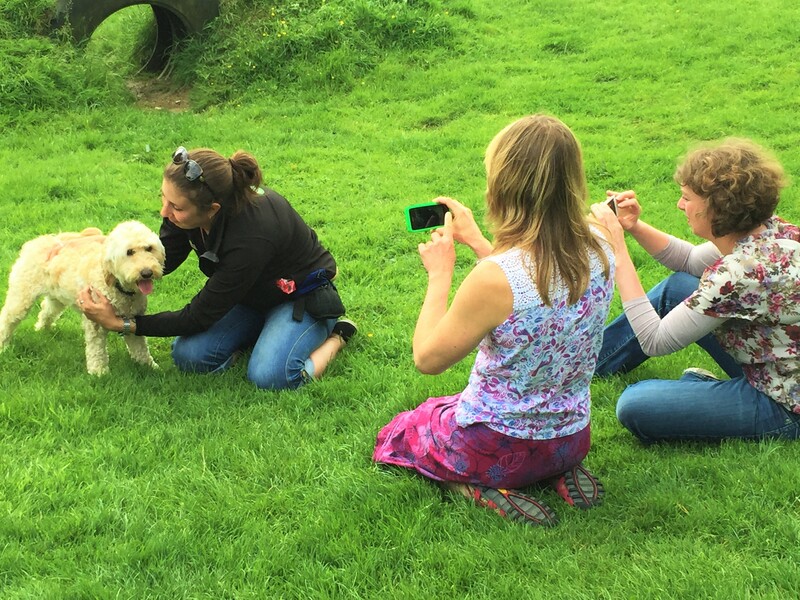 We recently provided Dogs for Good with a one day training course to teach the basics of sound, interviewing for film, shooting B-Roll and editing to help them gather more stories internally. Regardless of whether your organisation is large or small, the main thing to remember is to not be intimidated by storytelling. With the right internal relationships and support and a few core skills you will see a marked improvement in stories you receive from the field in a very short amount of time. The storytelling tug of war: do stories empower or dehumanise? Catherine is a founding director of Mile 91 which specialises in story gathering and story management for charities and changemakers. Her first taste of storytelling was in 2006 when she established VSO’s story gathering function. She has managed more than 40 story gathering visits to developing countries and numerous shoots in the UK. She also provides consultancy to charities looking to audit their story gathering systems and processes or to develop internal skills in storytelling. She blogs on storytelling skills and best practice here.